Death metal band formed around 1990 and released a demo the following year. 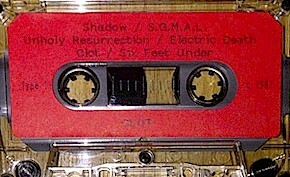 A 1993 demo was also released. Xeroxed four panel covers and the tapes had stickers on the shell.